Despite being a conservative nation, Saudi Arabia is an important player in the global economic scene. This desert kingdom is rich, and its business sector upholds principles that continue to work in this present modernised world. Therefore, if your corporate organisation conducts operations in the Middle East, choosing Saudi Arabia as the location for important corporate meetings or events may prove beneficial. Jeddah and Riyadh may be your top choices as city venues, but do not discount Madinah during your selection process. Madinah, the second holy city in the Islam faith, actually presents a pleasant environment for corporate gatherings. This should not come as a surprise. After all, it welcomes devotees and pilgrims from around the globe regularly. The police are a constant presence in the city as people on a pilgrimage from different corners of the globe coming and going need to prove that they are, indeed, of the faith. Because of this, petty crimes are kept to a minimum. People coming to Madinah for the first time can feel quite safe, particularly when exploring the city to locate the business event venue. Most Muslims are already quite familiar with this holy city. They may have visited it before to perform Hajj or to celebrate Ramadan. Therefore, they may already know their way around and feel comfortable that it’s the chosen venue for the business gathering. For those who may not be very familiar with the place, those who know can easily direct them so they can conveniently and easily arrive at their business destination. Business meetings, these days, are more dynamic; they usually include entertainment and recreation. When the long hours of corporate affairs are done, your company can tour delegates around the scenic and historical sites of the region. If you choose to have your event in Madinah, you can incorporate a mosque tour into your schedule. This is always a good recreational activity, especially at the end of the day. If you have delegates who are avid travellers and photography enthusiasts, they may find great enjoyment out of a visit to The Prophet’s Mosque or the Al-Masjid an-Nabawi. The mosque in itself is a beauty to behold but the area around it is also charming. There is a section near The Prophet’s Mosque that is covered with umbrellas which lend a touch of whimsy to the entire venue, while also serving the purpose of providing shade. What’s even more special about this area is it provides gorgeous “frames” for the setting sun behind the mosques. Some of the best sunset photos of Madinah are taken here. If delegates are coming from different parts of the country or the Middle Eastern region, your company can easily check them into a luxury hotel with 5-star services in the holy city. These accommodations are designed to impress even the most discriminating guests. The interior is lavish yet professional. Additionally, they have various function rooms. All the rooms are equipped with the latest equipment to ensure the productive flow of the event. It is important to mention as well that five-star hotels in the city have in-house restaurants. These restaurants are some of the most highly recommended restaurants in Madinah. Thus, providing event participants with sumptuous meals on time will be a breeze. Lastly, they have a resident event coordinator to help make the corporate affair as organised as possible. Being in the holy city makes fellowshipping with brothers in faith and prayer more meaningful. You can take advantage of this situation in fortifying your relationship with partners and the members of your organisation participating in the event. You can integrate daily prayer at the nearby mosque into your event’s schedule and demonstrate your company values. This may resonate positively with everybody attending the affair. 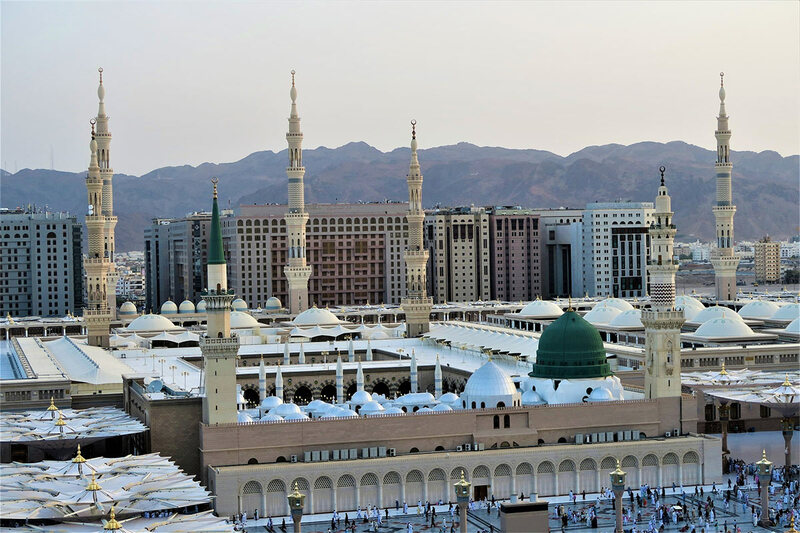 Madinah is widely thought of as a spiritual destination for Islam devotees but it certainly has more to offer. Because of this, the business sector should not be too quick to overlook the holy city’s potential as a venue for corporate affairs.